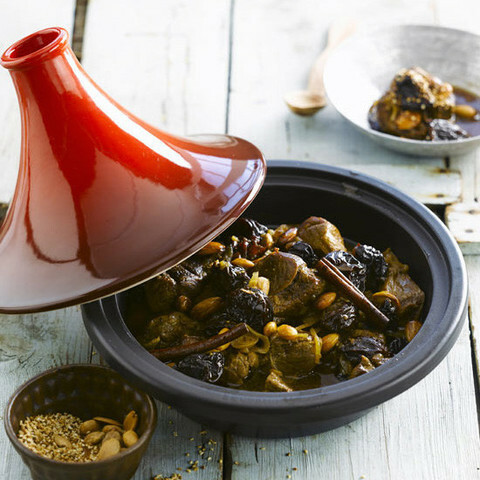 Cast Iron Tagine colour cherry by Le Creuset. 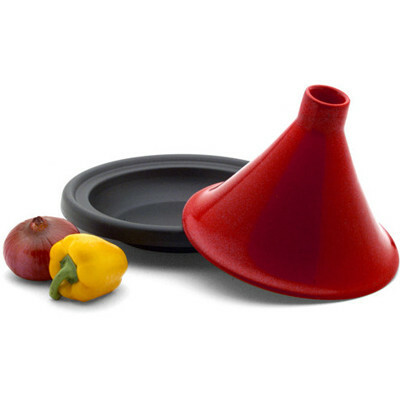 Tajine is a handsome and practical piece of kitchenware inspired by the traditional North African cooking pot that allows for a slow cooking method for heavily spiced foods. 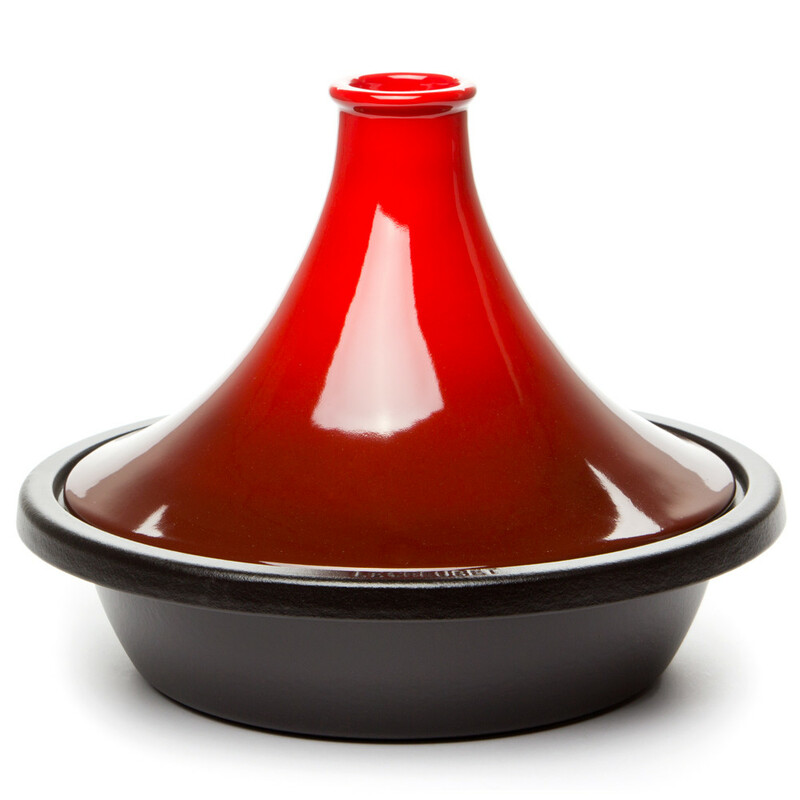 Superbly crafted by the French Company Le Creuset, Tajine will unlock a new realm of cuisine as the grand design of this cast iron pan with its cone shaped lid provides the ideal environment to keep beef, lamb and other meats perfectly tender and moist. 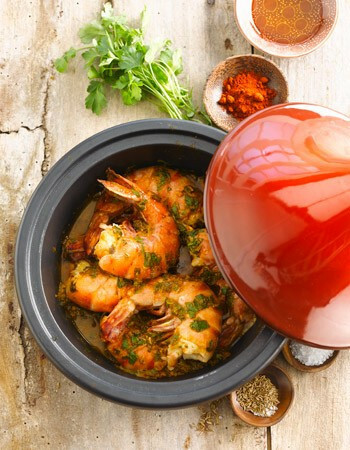 The strong iron gently absorbs the heat distributing evenly through the non-reactive inner layer of enamel giving you the perfect dish every time. You can purchase your delightful Tajine from our online store and with our low prices you can buy your friends one too.